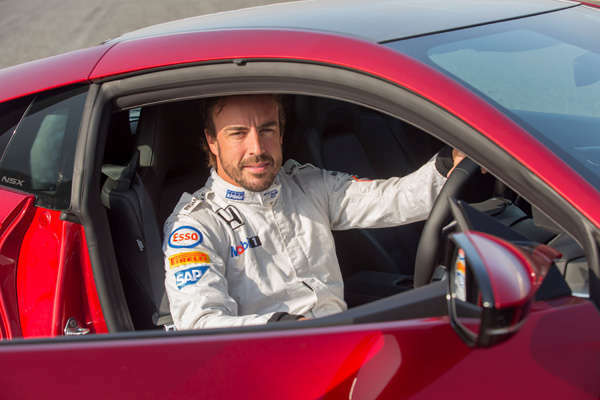 In an exclusive event for Spanish media, Fernando Alonso took the NSX on the historic Estoril circuit (Lisbon, Portugal), giving journalists the chance to ride along with the double world champion. The venue of Estoril was a poignant one, due to its strong link with Formula 1 legend Ayrton Senna. Senna took his maiden grand prix victory at the track in 1985, and was strongly involved in the development and launch of Honda’s original NSX during the late 1980s. The track has been a happy hunting ground for other Honda powered racers, both on four wheels and two. Honda’s hybrid sports car features a new longitudinally mounted, twin-turbo, six-cylinder DOHC engine, combined with dual clutch transmission (DCT) and nine speeds, developed specifically for this model. A rear Direct Drive Motor, housed between the engine and gearbox, enhances performance during acceleration, braking and gear changes. 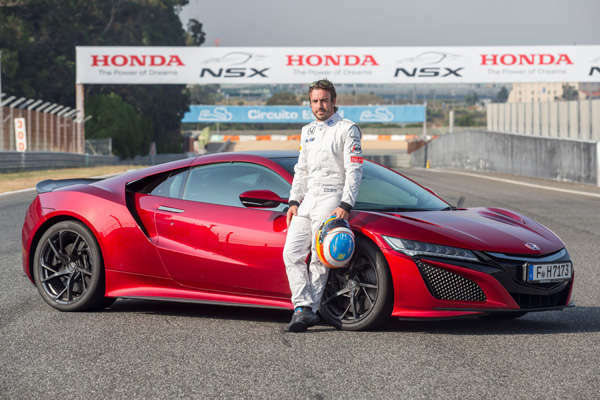 In addition, the front wheels of the NSX are powered independently by two parallel high-performance electric motors, which provide instant torque. The combined power unit has a maximum output of 581 hp. The NSX is manufactured exclusively at the Honda Performance Manufacturing Center (PMC) in Marysville, Ohio (United States), where 100 production experts are responsible for manufacturing the full bodywork, paintwork and final assembly.